Brighton Museum is part of The National Gallery Masterpiece Tour 2018 and currently has on display A Lady with a Squirrel and a Starling by Hans Holbein the Younger. 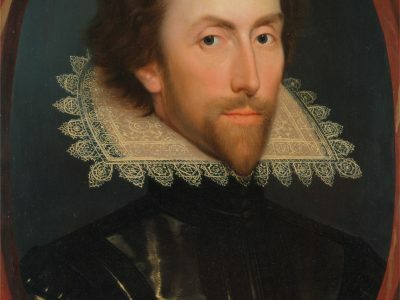 To accompany this is the See Portraits, Be Portraits exhibition showcasing portraits from our own fine art collection. The exhibition has been curated with local school teachers from Varndean School and Cottesmore St Mary’s Primary; two of our Front of House staff, Peter and Charlie as part of an Arts Council NPO-funded Workforce Development initiative; Michael Olden, Early Years & Families Officer; and Su Hepburn, Senior Learning Officer. Our aims for the exhibition were to make the space useful, welcoming, and enjoyable for school children and families. We wanted to be able to think about what makes a portrait. And how a portrait is made. We wanted to show a range of styles, techniques, colour palettes, subject matter, composition, and materials. Working together we began by discussing what a portraits is, the National Curriculum, what schools are already teaching around the subject, what artist are already being studied and how we could support the children’s learning. We then moved on to selecting paintings from our fine art collection and discussing how we could achieve our aims. We had to ensure the paintings chosen were ready to be hung, without involving reframing or heavy conservation work, which limited our choices but also meant we had to be more creative. We were also keen to show paintings that had not been on display for a while, and paintings that would help represent our own visiting audiences. We were also mindful to draw out narratives such as LGBTQ, BME, disability, mental health, and migration from under-represented communities. As well as the actual paintings forming the display, we concentrated greatly on the space and the things to do within it. We wanted to change what can be perceived as a very traditional museum space into a much more playful and relaxed space. A place to just be in. 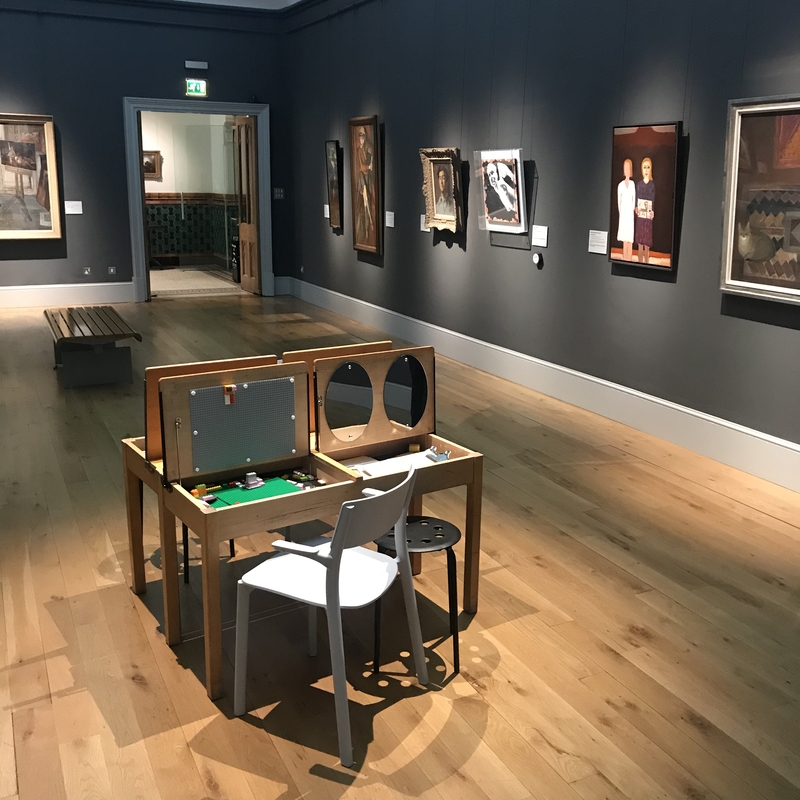 We created interactive resources for people to use, and sound buttons to listen to an audio interpretation – so Alison Lapper’s Angel has the sound of angelic music playing, and Portraits and Self-Portraits of Uffclume Children by Robert Organ has the sound of a children’s playground. The portraits are also very subtly paired together – two self-portraits together, two very wistful expressions together, an artist and an art critic together. The only one on their own is the lone dog, and the label asks why do you think the dog is so sad? 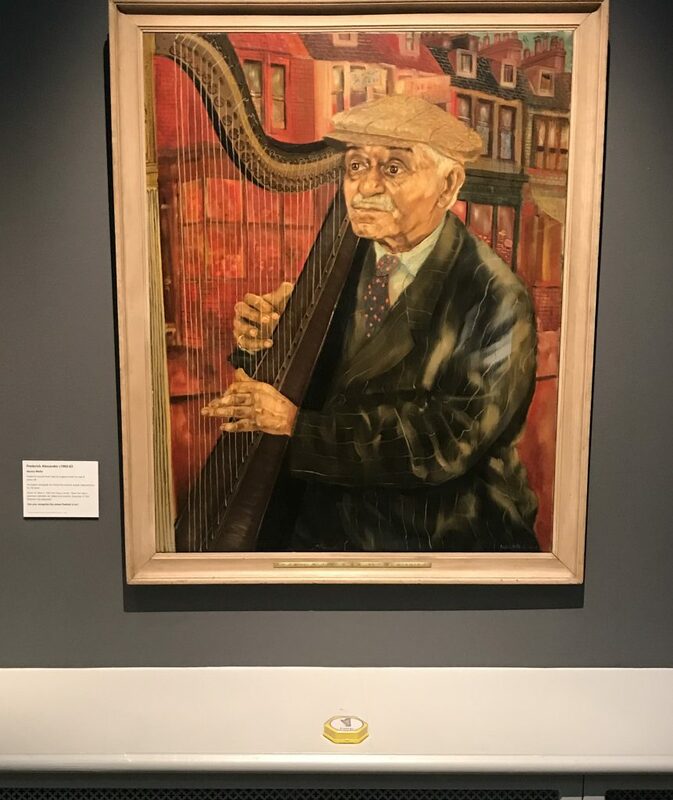 In a very lucky moment we realized that the painting of art critic Nevile Wallis by John Minton has a Holbein sketch pinned to the studio wall, and a book under the chair. We have recreated this chair along with umbrella and coat resting on the back so you too can step into his shoes and be an art critic yourself. We met with members of Royal Pavilion & Museums Access Advisory Group to discuss simple and cost effective ways we could make the exhibition accessible to more people. We have made sure there is a variety of seating, larger labels with less text, text that is readable and has a reading level to match the national reading age, and audio recordings for labels and activity ideas. 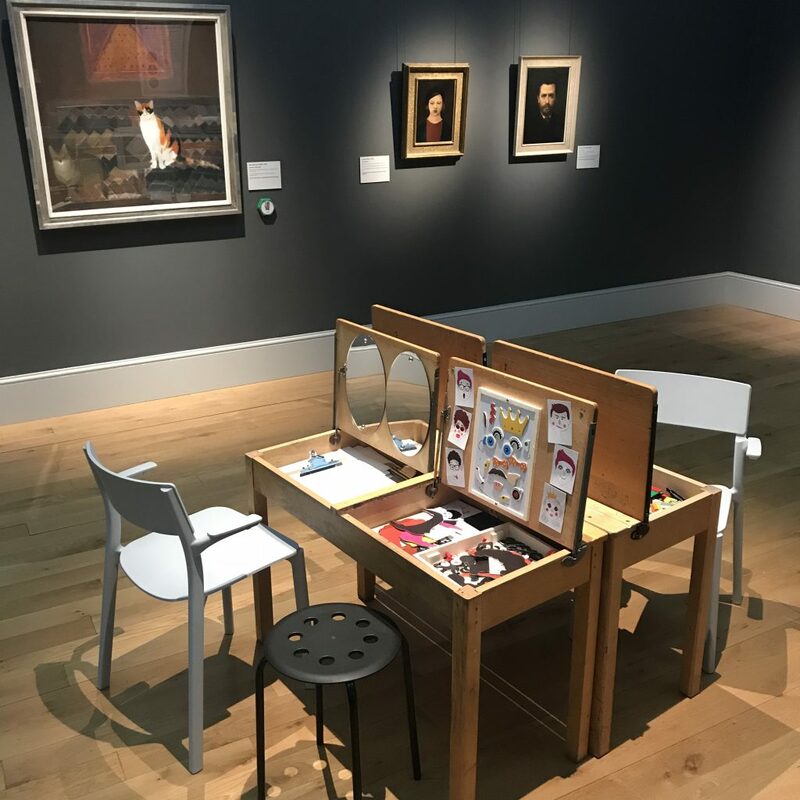 We have also put in place boxes of things to help visitors interact more with the space, the art work and to view the work differently: magnifying glasses, binoculars, colour viewers, torches, and viewfinders. Central to the space are two vintage school desks which – once opened up – reveal a range of things to do for everyone. Mirrors and drawing materials if you want to draw yourself or the person sitting next to you. Lego and magnetic pieces to build faces if drawing isn’t your thing or if you want a more tactile experience or are unable to hold a pencil. We have already had school visits, and had very positive feedback from our family visitors and our Front of House staff. We have even had a local nursery coming back three days in a row as they have enjoyed being in the space so much. Now that the exhibition is open, we begin the next phase of work – evaluating how it is going. The space may change again. The interactives may change. But we are listening, reflecting and learning all the time, and will be taking what we find forward to the next exhibition. The exhibition runs for an academic years and we are now looking forward to future events for all our visitors, including artists talks, painting in the gallery, free day events, Big Draw events and many more. I am very impressed by the evidence in this museum of the way in which the local children are included and made to feel they are contributing something of value to such a special civic amenity.